Laptop Medico - Wholesaler of laptop repair, laptop servicing & computer repairing in Siliguri, West Bengal. 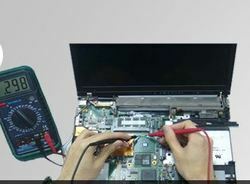 Laptop Medico is a reliable laptop repair centre in Siliguri. We, in fact, stand out for its excellent and sincere service amongst all laptop repairing centres in Siliguri, although people from the areas around Siliguri also come to us with immense faith that their devices are in expert and best hands. 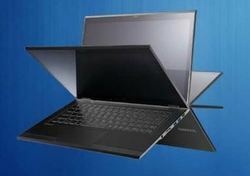 We provide repairing service for general laptops and various brands like Dell, Lenovo, HP, Sony, Acer, Toshiba, Asus etc. Usually people do not trust everyone while it comes to repairing the devices of such branded companies. We have established that trust among people as an outstanding centre of laptop repairing in Siliguri. We have a professional team in this repairing field of laptops in Siliguri region. Each and every staff in our centre is skilled and careful about your device. They are truly the experts whom you put your trust on to get you valuable all repaired for further usage. Their dedication is towards returning your device with no fault, as soon as possible. In Laptop Medico, the laptop repairing services include dealing with all the issues of hard disc, mouse, motherboard, broken or damaged screen, adaptor, keyboard, speaker, webcam, liquid spill on screen, laptop crashes etc. Once you hand us over any device that you are facing any problem with or the hardware gets faulty, they get repaired here with utter care and expertise. Laptop ServicingLaptop Medico stands out for its reliable and sincere service amongst all the laptop servicing centres in Siliguri. It is an excellent laptop service centre in Siliguri, although people from the areas around Siliguri also come to us with utmost trust that their devices are in expert and best hands. The various brands that we offer service for include Dell, Lenovo, HP, Sony, Acer, Toshiba, Asus etc. Through hard work for a long time, we established that trust among people as an outstanding centre of laptop servicing in Siliguri. Usually people do not trust everyone while it comes to servicing the devices of such branded companies. Our team in Laptop Medico with expert staff are working sincerely in this servicing field of laptops in Siliguri region. All the members of our centre are skilled and careful about your device. 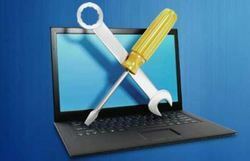 The laptop servicing works include dealing with virus, Trojan, spyware and malware removal, data recovery, software formatting and installation, software update, internet connection difficulties, password recovery, tune up and optimization etc. Our dedication is towards returning your device with no fault, as soon as possible. Computer RepairPeople from in and around Siliguri visit the office of Laptop Medico, a reliable computer repair centre in Siliguri. 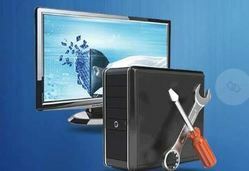 We, in fact, are supposed for its excellent and sincere service amongst all computer repairing centres in Siliguri. We have established the trust among people as an outstanding centre of computer repairing in Siliguri including the repairing service for general computers and various brands like Dell, Lenovo, HP, Sony, Acer, Toshiba, Asus etc. Our professional team of computer repairing in Siliguri region is skilled and careful while working on your computer. They are truly the experts whom you put your trust on to get you valuable all repaired for further usage. We even get all servicing done within few hours. We deal with every problem regarding a computer in Laptop Medico. Among them issues of hard disc, mouse, motherboard, broken or damaged screen, adaptor, keyboard, speaker, webcam, liquid spill on screen, computer crashes etc. 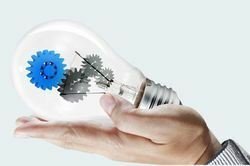 are fixed with expertise. Whenever your computer gets faulty or any other issues, bring it to us, we’ll repair it in all the possible way and return to you for further usage. Are you having issue with you computer or other attachments? Computer ServicingLaptop Medico is a bright name as a computer service centre in Siliguri. Our centre, in fact, stands out for its trustable and profound service and better than all the computer servicing centres in Siliguri. Not only the local people, but the people from around the town visit us to make sure that their computer servicing is being done in expert hands. Our well-trained team members are experienced of working in servicing field of computers in Siliguri region for a long time. Each and every staff in our centre is very professional on work. They are skilled and careful whom you put your trust on for computer servicing in Siliguri. Servicing for general computers and various branded computers like Dell, Lenovo, HP, Sony, Acer, Toshiba, Asus etc. are done here. 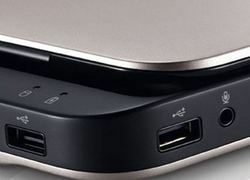 Usually, when it comes to the servicing of branded companies, many people take the devices only to the reliable ones. Our centre has achieved this trust through hard and honest work. In Laptop Medico, the computer servicing works include dealing with virus, Trojan, spyware and malware removal, data recovery, software formatting and installation, software update, internet connection difficulties, password recovery, tune up and optimization etc. We are completely dedicated to return the computer within promised time in such way that you don’t get much issue in future. Computer DealersAs a growing tech town, there are several computer shops in and around the town of Siliguri. But not all of them hold the reputation as a best computer shop in Siliguri. Laptop Medico has earned this reputation through sincere service, honesty and hard work. We deal with all kind of main and additional parts of a computer, whether it’s general or branded. Laptop Medico is known for its flawless service as computer hardware and software dealer in Siliguri. We deal with each and every part of a computer. Whether you need a hardware part or software, contact us for the best products that you desire and deserve. Our product range includes CPU, UPS, keyboard, mouse, LCD/LED/TFT screen, CPU cabinet, speaker, motherboard, RAM, processor, mouse-pad, CPU fan, CDROM, DVDROM, hard-drive, sound-card, video-card, hinge, memory, browser, application, software program, media players, anti-virus and so on. We also provide various versions of Windows, Linus, iOS, Oracle etc. We work as a branded computer dealer in Siliguri. 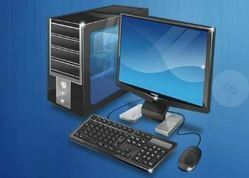 Along with branded companies, we also serve to provide general computer parts and other attachments. The brands that we deal with are Dell, Apple, Compaq, Lenovo, HP, Sony, IBM, HCL, LG, Acer, Toshiba, Panasonic, Samsung, Asus, Gigabyte, Zenith, Gateway and others. Whether you need a complete computer system or parts of it, you are welcome to contact us anytime. Laptop, Desktop & Printer Servecing At Your Door By A Call..